Monrovia, Liberia - The governments of Liberia and Iceland Friday, December 14, signed a US$3.1million Grant Agreement to support Liberia’s fisheries sector. Monrovia, Liberia - The Government of Liberia and the ECOWAS Bank for Investment and Development had sign loan agreement in the tone of 100M United State Dollar for the construction of coastal Highway road project. Monrovia, Liberia - The Government of Liberia and the European Union have signed a grant agreement in the amount of 18.9 million Euros (approximately US $21.5 million) for Lot Two of the Consolidation of Monrovia Electricity Distribution Project. Hon. 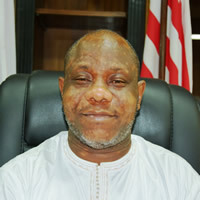 Samuel D. Tweah, Jr., Minister of Finance and Development Planning, on Thursday, October 6, 2018, signed the agreement on behalf of the Government of Liberia for the speedy design and construction of electricity distribution network to the people of Liberia as part of the robust implementation of government’s Pro-Poor Agenda for Prosperity and Development. Thursday’s signing is intended to expand the existing power distribution network to allow the Liberia Electricity Corporation connect more homes and increase its customers base in order to absorb the increased quantity and cheaper energy expected to be generated by Mount Coffee hydropower plant. Speaking during the signing ceremony at the Ministry of Finance and Development Planning, Hon. Samuel D. Tweah, Jr., conveyed, on behalf of President George M. Weah, profound gratitude to the European Union for their strongest support and good working relationship with the Liberian Government. Minister Tweah reiterated President Weah’s commitment to support the European Union in its efforts, even when the EU stood behind Liberia through dark days of war where they remained committed to supporting Liberia. “As Minister of Finance, I think we have had the most signing with the European Union and a good working relationship with the ambassador. Today’s signing is very important in the current context”, he added. Minister Tweah used the occasion to re-echo President Weah’s call for the Liberian people to exercise patience because in the last twelve years they have had all these things without realizing the desired results. He disclosed that this administration has paid US $6 million in debts owed the LEC by the previous administration, and described the signing as an extraordinary effort towards the expansion of electricity in Liberia. He cited electricity and road connectivity as binding constraints for development in Liberia. “Without power, no matter what we do, the Pro-Poor Agenda will not succeed; clear-cut, simple,” said Minister Tweah. He noted that the transformation of the economy depended on the quantity and quality of electricity supply across the country. He advised the LEC to find the way to shorten the electricity production cycle in order for our people to access power quickly. 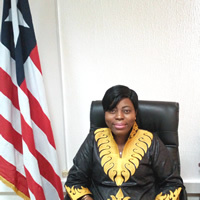 Speaking further, Minister Tweah lauded the United States Government for supporting Liberia’s energy and road sectors with approximately US $ 250 million through the Millennium Challenge Corporation. For his part, the Deputy Head of Delegation and Charge d’Affaires, Hon. Juan Antonio Frutos expressed EU’s strong commitment in supporting the Government of Liberia in the materialization of it priorities in both energy and road sectors, as well as driving the objectives of the Pro-Poor Agenda for Prosperity and Development. According to him, the project will foresee the proper connection of 38,000 small households in Monrovia and its environs, contributing to the increase of energy supply to the people of Monrovia. 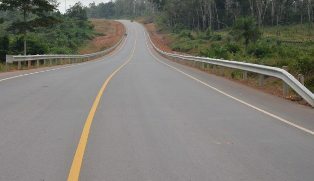 Communities expected to be connected through the project include Peace Island area, TB Annex (from Congo Town Back Road to ELWA Junction), GSA Road, Zubah Town, Rehab Road, SKD Sports Complex, Rock Crusher, LBS and behind the German Embassy in Congo Town and other areas. He noted that during the project, junior electrical engineers and university students in their final year of studies would have an opportunity to learn through this project. 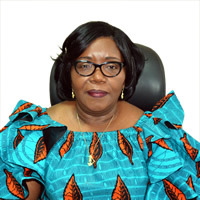 The Government of Liberia has stressed the need for all projects to put an emphasis on training and technical education. 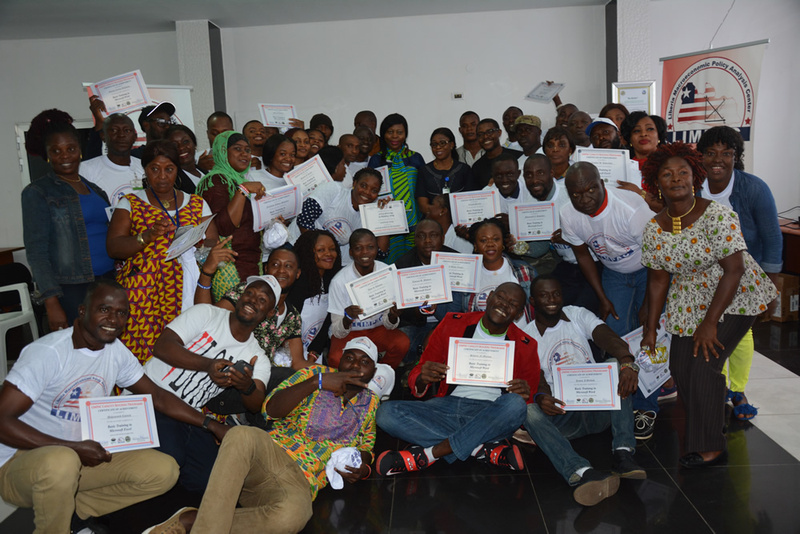 He said around 40 young people will have the opportunity to benefit from training, thereby being exposed to the world of work. With the extension of the electricity grid and the need for more connections, there will be a need for more qualified electricians in the country, he added. In order to bridge the future gap of electricians, the European Union in its vocational training programs foresees the education and training of electricians in certain TVET schools in the country, with a strong focus on skills development for rural electrification. He re-emphasized that European Union has been one of the principal contributors to the development of infrastructure in Liberia, mainly roads and energy, and continues to make a significant contribution to the development of regional infrastructure in West Africa. Making remarks, the Chief Executive Officer of the Liberia Electricity Corporation, Mr. John Ashley, said the signing of the grant agreement will strengthen the network from central Monrovia to other network areas. He said one advantage of the contract is the ability to fast track connections in certain areas and emphasized LEC’s commitment to do just that. Mr. Ashley also disclosed the creation of 140,000 new connections over the next few years. Mr. Ashley cited electricity theft as one of the issues effecting LEC’s ability to function, operate and maintain the network. The ceremony was witnessed by a representative from the National Authorizing Office; Deputy Minister for Operations at the Ministry of Lands, Mines, and Energy, Hon. 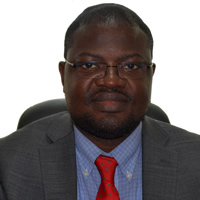 Emmanuel O. Sherman; Executive Director of the Rural & Renewable Energy Agency, Hon. Augustus V. Goanue; Mr. Rachit Shah, Marketing Manager, MBH Power Limited Nigeria, and others stakeholders in Government.